Could we design decor that matched the urban world we saw outside our window? 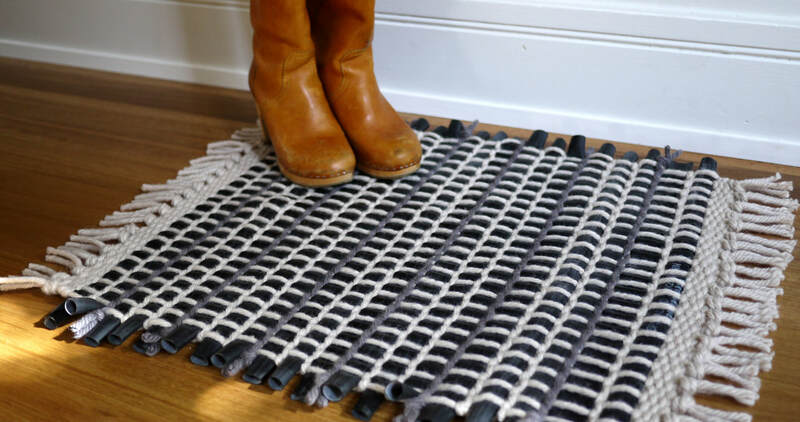 The answer is Ryder rug: an eco friendly rug hand-woven on traditional looms here in the USA. 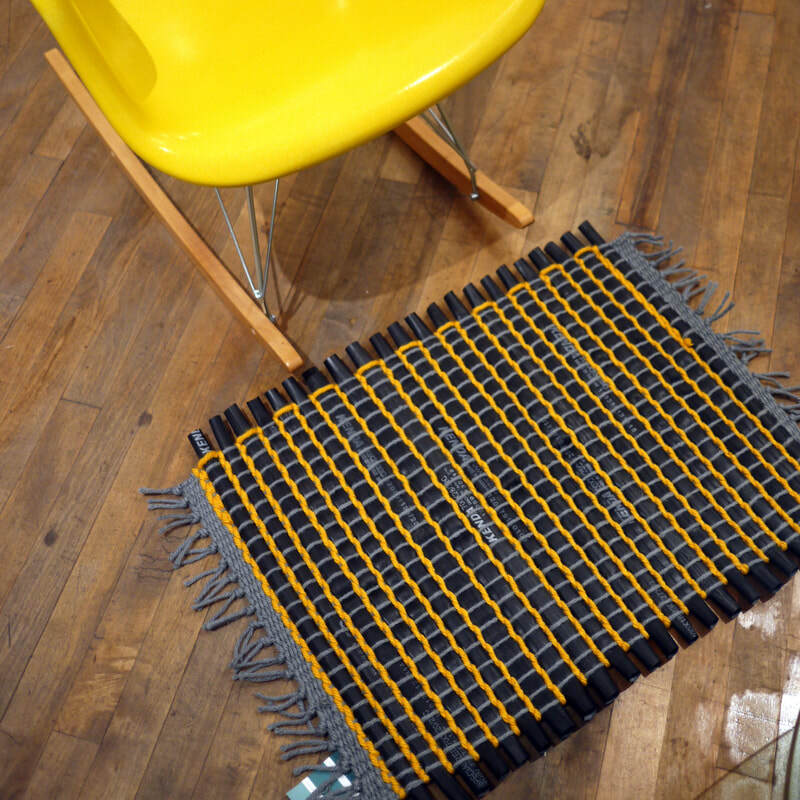 The rug is an artful marriage of reclaimed inner tubes from local bike shops and wool, salvaged from production. These materials are beautifully transformed into a textured weave. The blend is soft on your feet, yet durable enough to be used as an entry mat or kitchen prep pad. It is also double sided so your rug can be flipped for a fresh look. Ryder is a one of a kind piece you can feel good about owning. Made in the USA.